James Llorens’ last day as chancellor of Southern University ― Baton Rouge will be June 30. 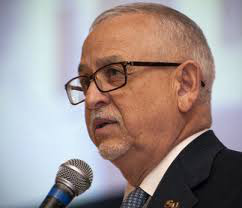 A national search for the next Southern University chancellor is slated after the Southern University System Board of Supervisors decided Monday in an 8-7 vote not to renew Southern University Chancellor James Llorens’ contract. The board reconvened in a special session to revisit its February 10 decision not to move on with Llorens. His last day in charge of the flagship campus will be June 30. The special session was called after students, alumni and other supporters voiced disapproval when the board decided not to give Llorens a one-year extension, based on the initial recommendations of SU System President Ronald Mason Jr. The decision to oust Llorens was made after Mason recommended the board renew his contract only if certain organizational changes were made, which ultimately would give Mason more authority over the campus. Similar administrative changes were made at Louisiana State University last year, when F. King Alexander assumed the role of president of the LSU System and chancellor of the university. Six board members initially voted to extend Llorens’ contract. Whether a board member voted for or against the extension to support Llorens’ in his stance against Mason is still unclear by many supporters. “Certain board members just can’t hide behind the excuse that they voted a certain way to benefit the chancellor. They can’t hide behind any longer,” Anderson said. “If that was the case why didn’t they present an alternative motion? Llorens took the helm as Southern’s chancellor three years ago during a time when Southern was in the midst of budget cuts, failing APR rates, low enrollment numbers, high faculty and staff turnover. However, some Southern University students, faculty, supporters and alumni attest that the chancellor has turned the school around and it will take more than three years to get the school back on track. SU Computer Science Professor Sudhir Trivedi isn’t inclined to agree. Trivedi, known for his outspoken nature as a member of the university’s faculty senate, wrote in a recent letter addressed to students, alumni, faculty members, and board members that Llorens’ appointment as chancellor was a political choice, not academic or educated. Trivedi wrote Llorens “singlehandedly” was responsible for earning the university probation by the Southern Association of Colleges and Schools (SACS) in 2012. “Llorens’ administration has been full of dismal failures … due solely to his inaction and incompetence … ” Trivedi wrote. Current board member and former board chair Myron Lawson voted both times to extend Llorens’ contract. He, along with board member Calvin Braxton, spoke during a university forum supporting Llorens after the first vote. The board members were aware of benchmarks that were set for Llorens, but Lawson said the Llorens needed more time. Anderson said major decisions need to be made before Mason’s contract renewal is on the agenda later this year. Anderson “fingerprint” reference is a 2010 proposal made by Mason to consolidate the three Mississippi historically black universities. Mason was president of Jackson State University at the time. When Mason left Jackson State later that year to take the job at Southern, not many of the state’s HBCU supporters opposed the departure.